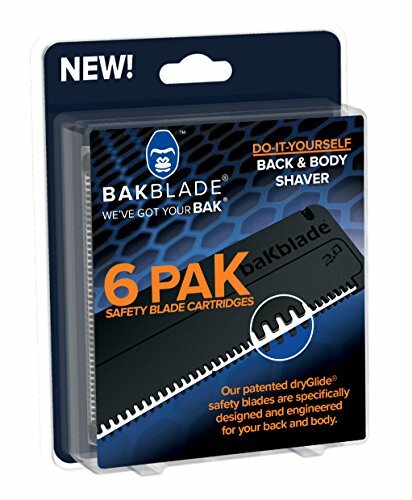 COMPATIBLE WITH THE BAKBLADE 2.0 BACK SHAVER: Patent-approved DryGlide safety blade technology involves a one of a kind 4" blade and teeth arrangement that creates the smoothest and quickest shave on the market! Get your BAKblade 2.0 today! ERGONOMIC LIGHTWEIGHT DESIGN: Allows you to shave pain- free while giving you the full extension you need to shave all those hard to reach places. No shaving cream or batteries required!